NavCoin Core are launching a competition to help support the most popular community fund ideas. 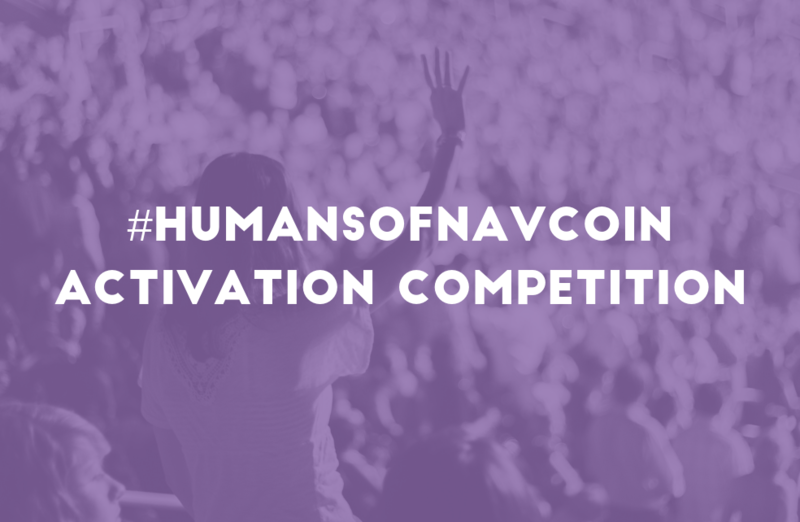 All you have to do is tweet your idea with the #HumansOfNavCoin hashtag to get in the draw. The NavCoin Community Fund softfork voting is well underway and looking likely to lock-in at the end of the next voting period (approximately 00:00 GMT Friday 9 November 2018). To help showcase potential Community Fund proposals we’ve been running a #HumansOfNavCoin hashtag campaign on twitter. You’ll find all sorts of great ideas like this one proposed by twitter user @CryptoSmartHub to launch a grass roots campaign to get NavCoin used in local markets. We’re really excited about all the great ideas which are being proposed, it looks like there are going to be some amazing things created by the community when the Community Fund activates. To support the community’s efforts, NavCoin Core are going to offer their help and support to one of the most popular proposal ideas. All you have to do is tweet your proposal idea with the hashtag #HumansOfNavCoin. The more likes and retweets your tweet gets, the more entries you get into the competition. We will pick one of the most liked and retweeted proposal ideas, and help the creator to bring the project to life. NavCoin Core will help the winner publish their idea, submit the funding proposal, promote it to the NavCoin Community and even help to execute the idea, or help find the right team which can. The winner will of course also earn the NAV which is allocated by the Community Fund for their proposal if the network consensus is achieved. The competition will run up until the Community Fund activates on the network, one week after lock-in is achieved, approximately 00:00 GMT Friday 16 November 2018 depending on how the network continues to vote. Tweet your Community Fund proposal idea with the #HumansOfNavCoin hashtag. Get your followers to like and retweet your tweet. The winner will be chosen from the most popular tweets. Likes earn 1 point, retweets earn 2 points. The winner will be drawn when the Community Fund activates on the network. The winner will receive help and support from NavCoin Core to achieve their proposal. The winner will keep the NAV claimed from the community fund proposal. Easy right? Better get your thinking cap on and start tweeting! If you’re new to NavCoin and don’t know what the Community Fund is, you can read all about it on the NavCoin Community Fund page. To keep an eye on when the competition closes, you can track the softfork voting status on the NavExplorer site. NavCoin 4.5.0 Is Now Available! What is the NavCoin Collab Forum? NavCoin Core 4.2.0 released, NavCoin around the world. NavPay 4.1 released. NavCore is now NavHub. Community promos. Netherlands Meetup This Saturday. NavCoin Core Manifestos, Cold Staking Testing. NavCoin Community Hub Launched, Alex visits Auckland.